Ren Sihong (born in 1967) graduated from the Fine Art Department of Hebei Normal College in 1991. From 1991 to 1993, he studied in the Teaching Assistant Program for the Oil Painting Class in Central Academy of Fine Arts. In 1993, his solo exhibition was held in the Central Academy's gallery. He now works as a professional painter. 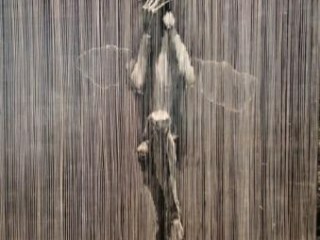 It is impossible to fully interpret Ren Sihong's works without two substantial elements. 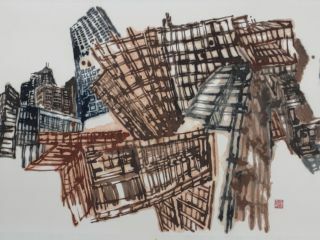 One is the political past of China and its extensive effect on artistic creation from the Cultural Revolution to current day. And secondly, it is the artist himself. 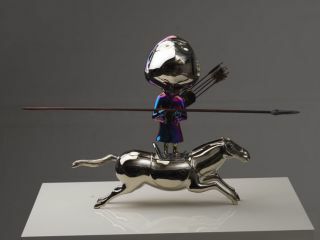 Although Chinese Political Pop Art can trace its roots from American Pop Art, the context in which the political pop works emerge is far more complex than that of the west. 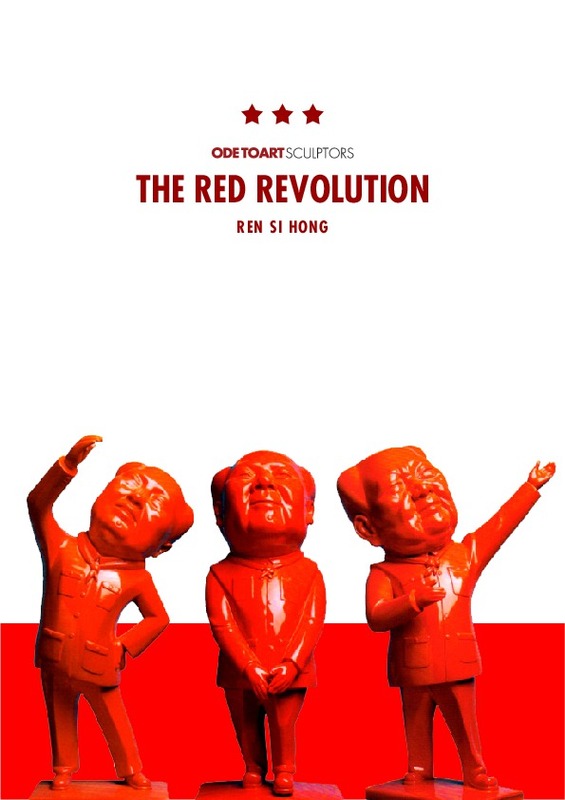 The Cultural Revolution, which inspired great works of political nature, was a period in history that caused great upheaval in China and Mao Zedong was synonymous with that regime. Chairman Mao is the symbol of a totalitarian regime where politics saturated all aspects of life. Essentially, the entire populace was affected and this included all forms of artistic expression being limited. The end of the revolution saw two distinct forms of art emerging - cynical realist art and political pop art. These works tended to be social commentaries of the past and the present. With the revolution divested of its power, Chinese artists who once created propaganda posters, willingly or forcefully, were now able to express themselves in unprecedented forms. 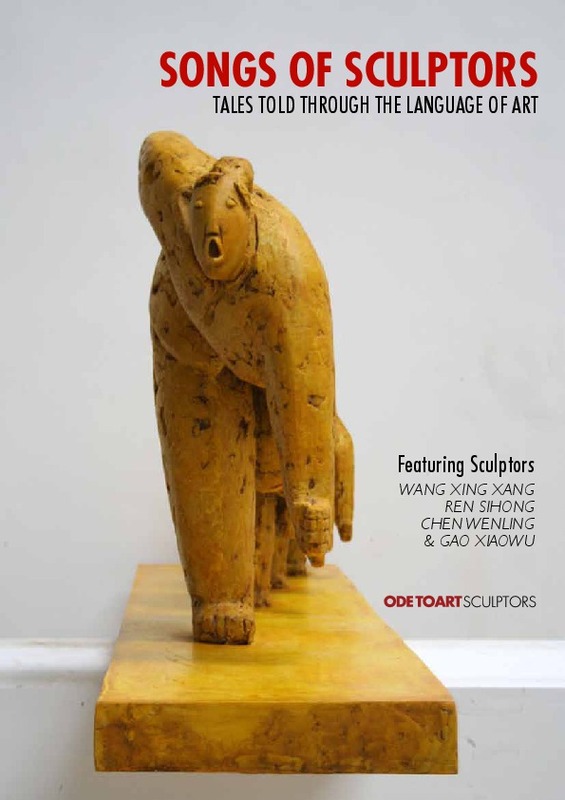 For many artists who lived through those times, the process of creation and more importantly, of satirical expressions of Mao, is a form of exorcism of that past - a means to secularise a god. 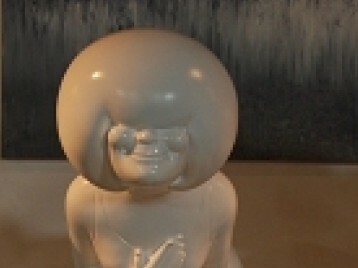 This is clearly seen in Ren Sihong sculptures and paintings of the political leader. 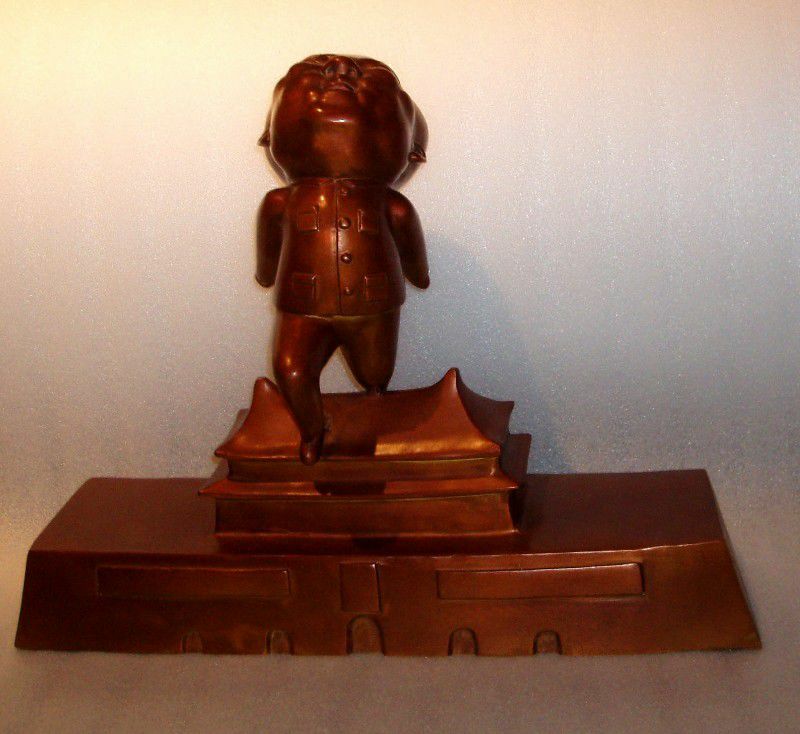 We see Mao Zedong with an exaggerated head, smiling whilst doing a gymnastic action or with sunglasses standing to attention or even taking a nap on the 'Red Book'. 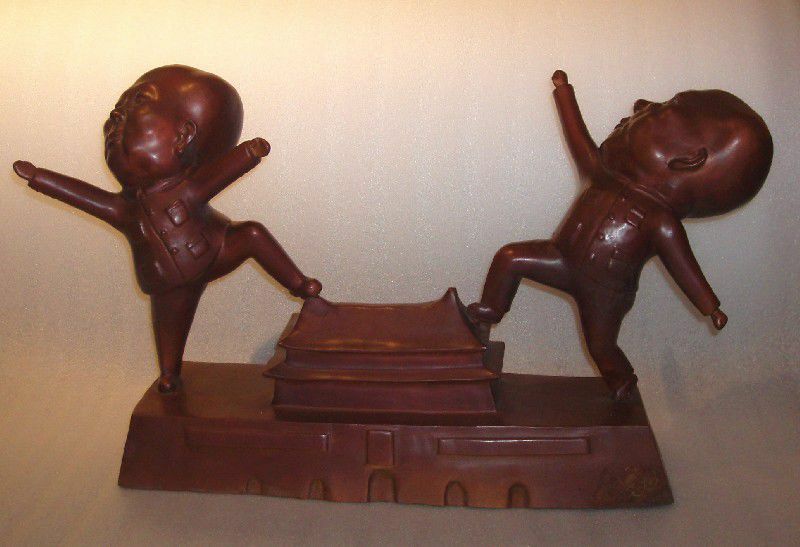 Mao is basically treated in various positions in a manner that is an obvious caricature. His paintings too have the same absurd quality to it. 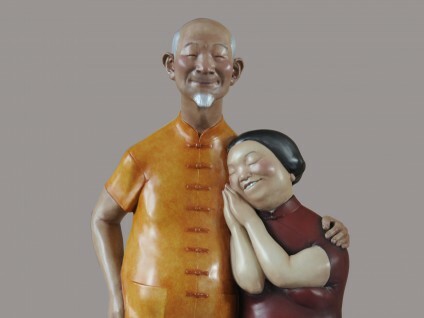 In the footsteps of many prominent names before him, Ren interprets 'his' Mao in a manner that is intimate to him. 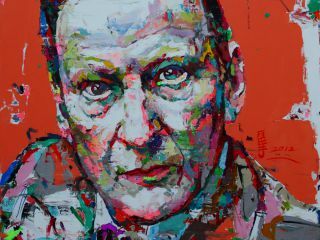 It is essential then to realise that the painter cannot be disassociated from his works. As much as his art is a critical commentary, it resonates the persona of the artist. 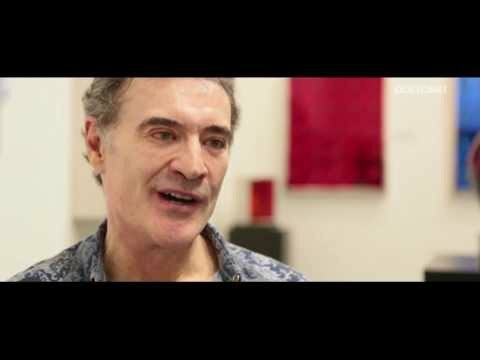 It is more than a disengaged insight - it is a personal reaction and a reflection of the quaint and comical nature of the artist manifested through his art. Knowing this, the whimsical character of his works becomes self-explanatory. China still hasn't entirely departed from the Mao period. Those Mao visual forms still have emblematic game space. 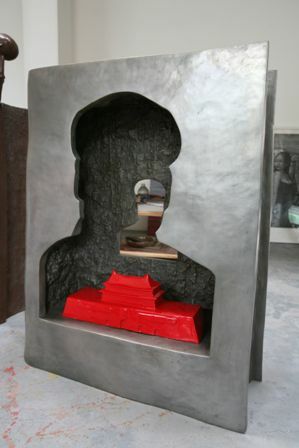 Sihong Ren's art work increase the possibility of Mao's definitive image.